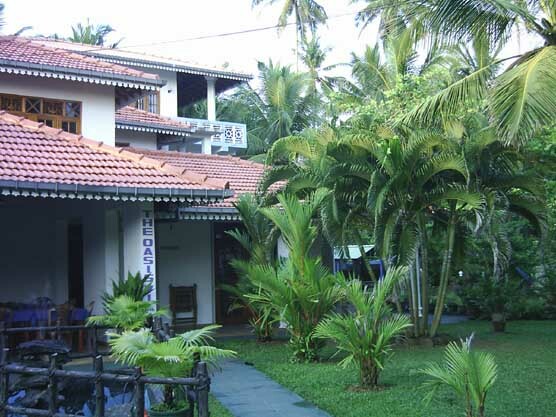 Hotel Address:#461, wewala, hikkaduwa, sri lanka. The Oasis Villa is a Beautiful and Friendly Place for spend your valuable time. This small Paradise is surrounded by a beautifull private garden. It's only 50 meters to Hikkaduwa's beach. The coastal town of Hikkaduwa on the South Coast, is well known for its Coral Sanctuary and for the Surf. The reef is well populated with a variety of tropical fish and turtles which can easily be seen even when snorkeling not far from the shore. Coupled with such a magnificent undersea world and the teeming thrust of beach life, Hikkaduwa is a heaven for both divers and beach lovers. Address #461, wewala, hikkaduwa, sri lanka.